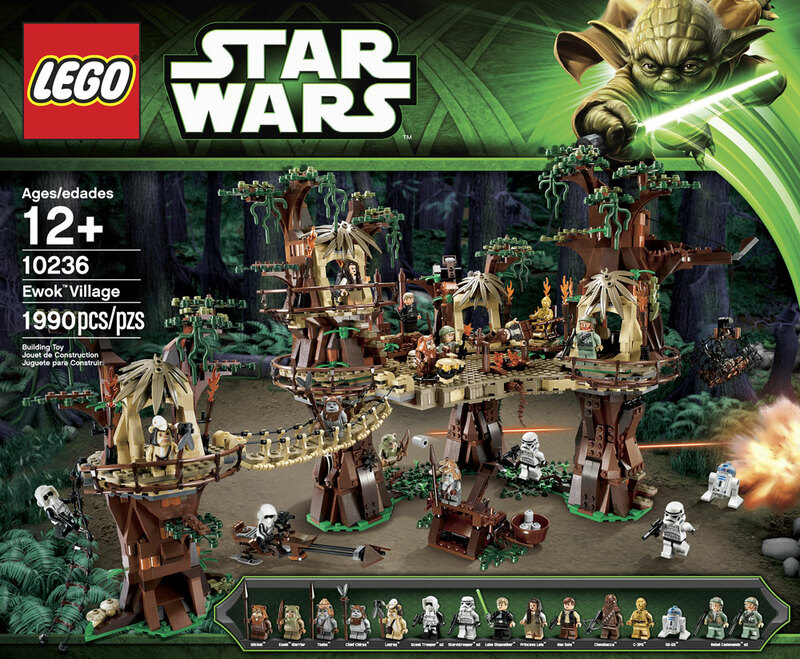 The much rumoured and anticipated Star Wars LEGO 10236 Ewok Village has officially been revealed by LEGO. The set will consist of 1990 pieces and be released in September 2013 through the Lego Online Store. The LEGO 10236 Ewok Village set comes with an incredible 17 minifigures and will be available exclusively through the Lego Online Store. As a child I received the Kenner Ewok Village for Christmas one year and it became one of my most treasured possessions. But as I started collecting Lego, I dreamed that one day a similar Ewok Village model would be made (officially) with LEGO – and now it has. Many fans thought the Lego Death Star couldn’t be equalled but it seems the bar for Lego Star Wars playsets has been raised (again). With four “trees”, a rope bridge, a fire pit (for fresh Han-Solo-burgers-to-go), a litter to carry C3PO and a net it seems to borrow heavily from Kenner/Hasbro’s 1984 release, which is not a bad thing. Travel to Endor™ and visit the treetop home of the Ewoks. Just like in Star Wars™: Episode VI Return of the Jedi, this recreation of the Ewoks’ forest dwelling is packed with cool functions, including the tree-trunk hideout, secret Lightsaber stash, spider web, net traps, slide, catapults and an elevating throne. Use the rammer function to take out the Scout Trooper’s speeder − just like in the movie! Realistic details include rope walkways, vine and leaf elements, kitchen, food storage area, bedroom and a planning room. 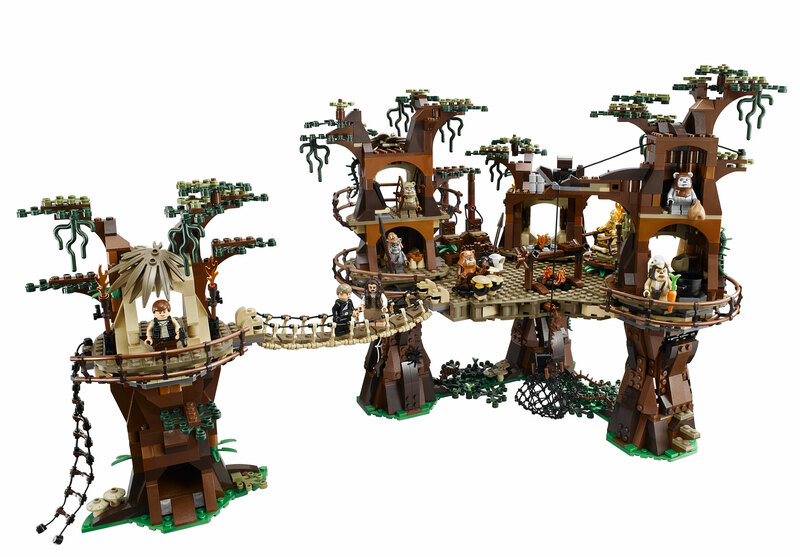 The LEGO 10236 Ewok Village is going to be a huge release and we will let you know more details as the release date comes closer. Check out the other LEGO Star Wars Sets 2013 sets released later this year and don’t forget to sign up to our Lego Newsletter for updates.